Maple Syrup, Lumberjacks, Hockey and Bears. Is that what first comes to mind when hearing about Canada? Well, Canada is actually the second biggest country in the world, throughout its 13 provinces and territories it contains almost 100 universities, with approximately 1.8 million students enrolled in these institutions. Canadian researchers at those sites always had an excellent partner in Brain Vision LLC the North American distributor of Brain Products and EASYCAP as well as of several other companies. 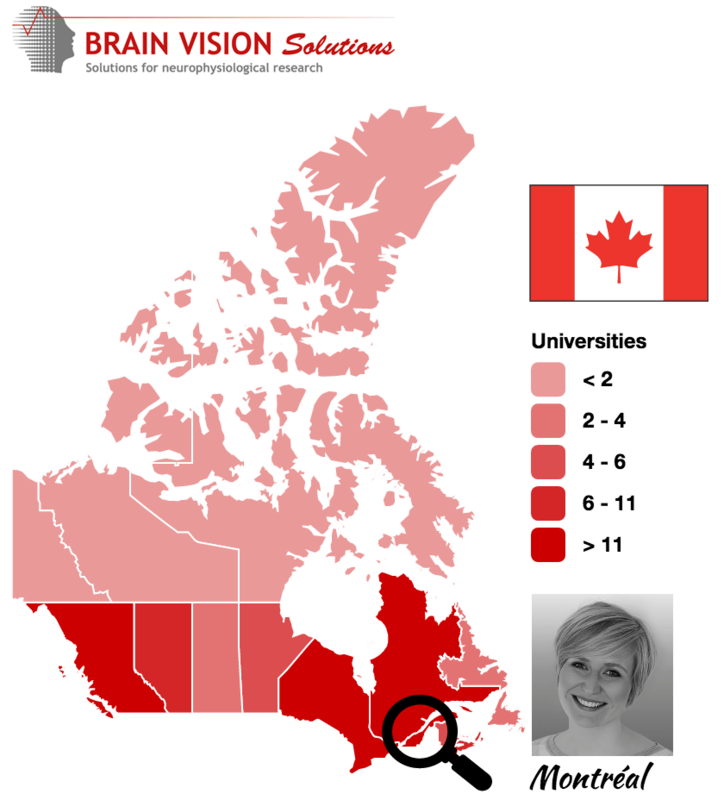 We have just founded Brain Vision Solutions which will be your new distributor in Canada. We are located in beautiful Montréal, where we already have a lot of friends and customers. At the moment, we are still setting up the company, hiring and training our staff and looking forward to connecting with you from 2017 onwards. However, do not be surprised if you already get a call or support email from a representative in Montréal. We are so curious to get to know you that we just can´t wait. Our goal is to provide you with the best hard and software solutions to allow for successful experiments and a satisfying research experience. We are looking forward to learning from you and supporting you in your everyday research needs! I would also like to take the opportunity to quickly introduce myself (again). Some of you may know me from my work at Brain Products’ software and technical support as well as my time in strategic marketing. The founding of the Canadian branch brought a new challenge for me: I will serve as the Vice President Marketing and Sales in Montreal and I am very excited about this. Leaving the comfort zone of a workplace you know and love, for a future in a different environment is something that a lot of researchers deal with on a regular basis. I am happy to say that having already spent a couple of weeks now in Canada I am full enjoying the way of Canadian living! Thanks for making acclimatization easy!